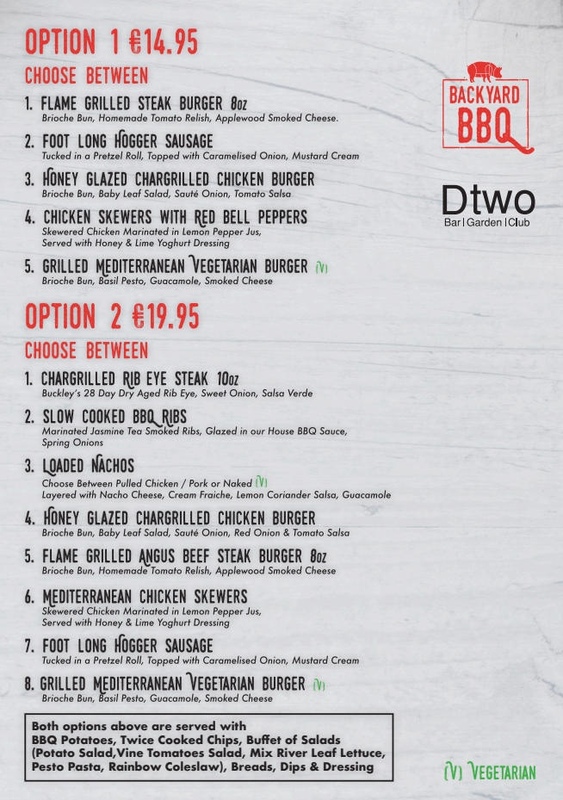 'The Backyard BBQ' is located in our award winning fully heated Beer Garden. This all-weather garden is situated over two floors with a capacity of up to 800 people which makes it spacious yet comfortable and offers full access into in our main bar and our nightclub downstairs. This addition to our extremely popular Beer Garden creates an extra dynamic in our ability to host all types of gatherings from major sporting events to corporate events and birthday parties. It also makes a great place to mingle at the weekends.